Do you sometimes want something that helps you change your mood, lift your spirits or give you a boost? 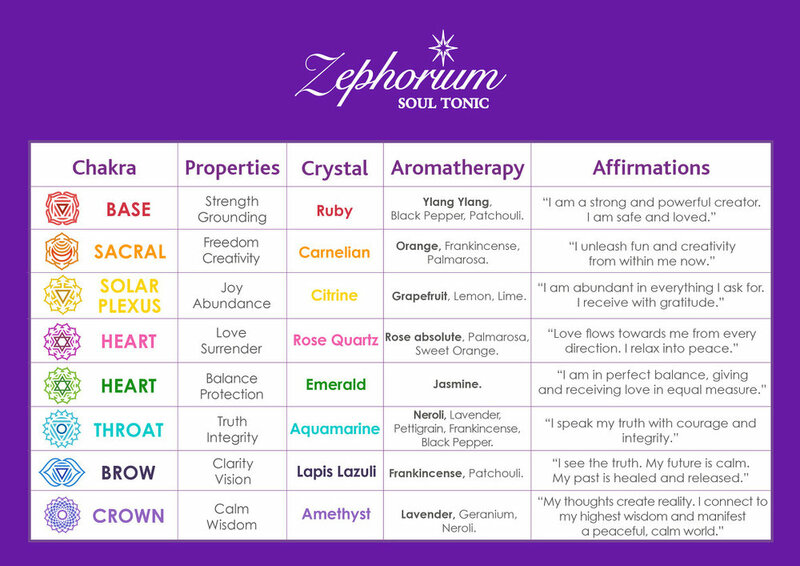 The Zephorium product range; combining essential oils, crystal vibrations, colour and affirmations is just the thing. Which colour / chakra for me? You can choose simply by the one that you are most drawn to or you can use the guide below. Of course owning all 8 is a wonderful treat. For extra help or to support something specific, please contact Fiona at Lilac Pearl or Jo at Refresh Wellness. These uplifting Aura Sprays are designed to cleanse and rebalance the chakras through the powerful combination of high quality aromatherapy oils, potenised crystal, positive affirmations and colour. They work perfectly for yoga, meditations and for anyone looking for a simple uplift throughout the day. Aromatherapy Affirmation Candles, made from only the highest quality pure coconut wax and 100% natural aromatherapy oils, for the ultimate in luxury indulgence. Presented in signature coloured glass jars and luxury boxes, these extra special candles are loaded with natural aromatherapy oils creating divine fragrances to fill your home or workspace. Each candle is free from paraffin, soy, chemicals and toxic aromas. Coconut wax is the purest base for candles. It is extremely clean burning to ensure you are only breathing in the natural aromatherapy oils which are between 10-18% of the candle. Each candle has homeopathic crystal energy infused into the oils for a complete mind, body and soul experience. The luxury packaging and inspirational affirmations ensure this is the ultimate gift, either for yourself and ‘self-pampering’ or family and friends. The candles are long lasting as it is only necessary to burn for 20-30 mins to release the beautiful aroma. Approx burn time 30 hours.